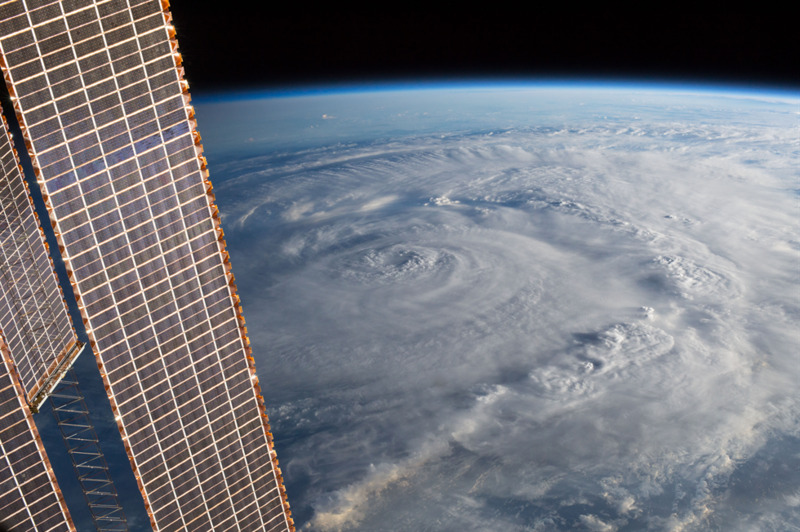 Even a year and some days later, the name still evokes chills for a majority of Houstonians and team members at NASA’s Johnson Space Center: Harvey. The storm, despite not technically being a hurricane while over our local community, wreaked havoc in its own sinister way—dumping raindrops at such a clip, and over so many days, that even Tropical Storm Allison’s downpours in 2001 seemed paltry in comparison. The National Weather Service issued a “Flash Flood Emergency for Catastrophic Life Threatening Flooding,” and things would never again be quite the same for Houston. “It was year’s worth of rain in a weekend,” said Joel Walker, Johnson’s director of Center Operations (Center Ops). Still, the Johnson campus emerged from the storm better than much of the surrounding communities, all things considered. Walker rattled off an impressive list of infrastructure that had been affected, from flooding at the Sonny Carter Training Facility to significant damage to the Software Development and Integration Lab and other water intrusions within buildings, through roofs, through walls and even foundations. In all, the list of damage sustained, which was sent up to NASA Headquarters, numbered nearly 900 finds. However, the scale of those finds varied from minor—like a sidewalk repair—to major. The storm also occurred around the turn of the fiscal year, which complicated financing repairs. Later, Congress would appropriate funding for the damages incurred, but that money would not show up until the following spring. If anything nice can be said about Harvey (and really, not much can), it’s that the Johnson team responded to this once-in-a-lifetime weather event with the utmost professionalism and kept the missions going. “Between not really declaring it a hurricane here and not doing a real ride out—doing the skinny version of that—and being able to weather that with essentially a ride-out team of about seven instead of 60 … the response was great. We had James Webb [testing at Johnson in thermal vacuum Chamber A] and Peggy Whitson and Jack Fischer returning from station, who needed to be in Building 21. And being able to keep mission control going …” Walker said, noting that human spaceflight never paused, even as some folks were stuck at the center despite the nightmare growing around them. While these workers stayed at the Johnson, sometimes sleeping on mats, their families were trapped at home, dealing with water creeping up their yards—and into their homes. And while no one would ever elect to hold the James Webb Space Telescope’s final evaluation on-site during a beyond-500-year rain event, it happened. It happened, and it was an unqualified success. While Harvey lingers in our subconscious (especially whenever there’s prolific rain), the storm also lives on in the projects that remain left to complete. One such project will take years: a new Emergency Operations Center building that will house the ride-out team during hurricanes, built to withstand even a Category 5 storm. But, as Harvey demonstrated, a storm doesn’t just need fast winds to pack a punch. Even so, the center has proven countless times that while our infrastructure can withstand a lot, Johnson has something even stronger: a tightknit team that never fails to rally around each other—especially in the darkest, rainiest hours.